Does prayer change us, or God, or both? Prayer is a priceless point of contact between us and the God of the universe. But it is often frustrating, confusing, and fraught with mystery. 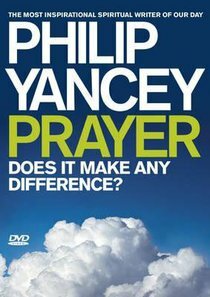 In six thought-provoking and inspiring sessions, award-winning author Philip Yancey helps you and your group explore the most foundational aspect of our relationship with God.What is prayer?How does it work?Does it work?The DVD comes with a group study guide which can also be downloaded from the DVD Rom for each group member. About "Prayer: Does It Make Any Difference"